A strong local economy, a growing population and the fact that we don’t have too many of them make malls the place for one-stop shopping and community gatherings. 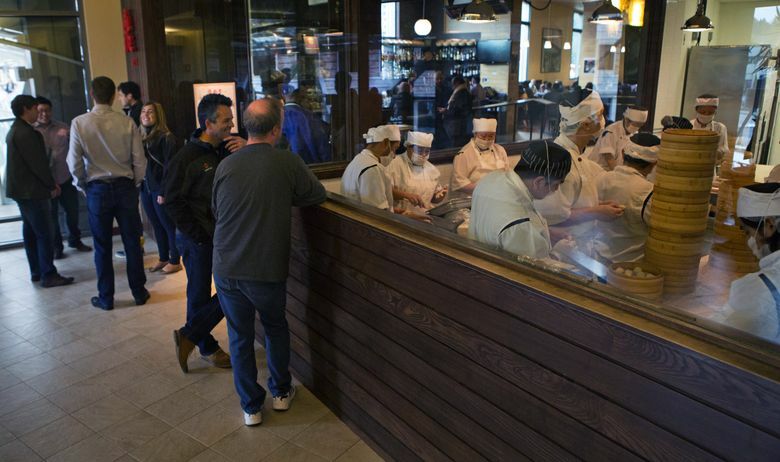 IT’S LUNCHTIME, and things are bustling at Din Tai Fung in Bellevue’s Lincoln Square. Outside, a line is waiting to get in, and those who’ve already eaten are saying goodbye to their dining companions. Among them is Fabian Loken, who has just finished lunch with a friend. Loken, 63, who works at a financial-services firm a few blocks away, comes a couple times a month to have lunch somewhere in Bellevue Square or Lincoln Square — the properties that, along with Bellevue Place, make up The Bellevue Collection. Usually, it’s to meet friends. 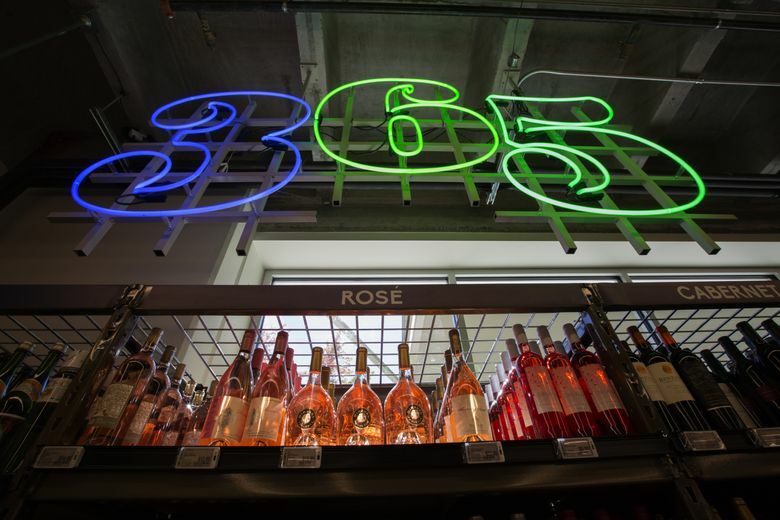 “The restaurants in Bellevue Square and Lincoln Square are more conducive to fun lunches with friends than just grabbing something to eat,” she says. And afterward, she usually gets some shopping in at places such as Nordstrom, The Container Store or Paper Source. She likes the convenience of having all those social, dining and shopping options close together, along with stores not commonly found in other malls. Loken’s comments are right on track with what The Bellevue Collection developer Kemper Freeman Jr. and other shopping-center operators are saying is the direction these shopping megalopolises are taking. Of course, getting the right mix of retailers is paramount. But these days, shopping centers also need to entice people who don’t ever have to step foot in a mall, given how readily they can buy things with the click of a mouse or the tap of a finger. Malls — and the large department stores that traditionally have anchored them — have been feeling the pain as consumers not only increasingly buy online but also shift their spending toward experiences such as trips and dining out, rather than things. Macy’s, Sears and JCPenney have closed hundreds of stores in recent years. 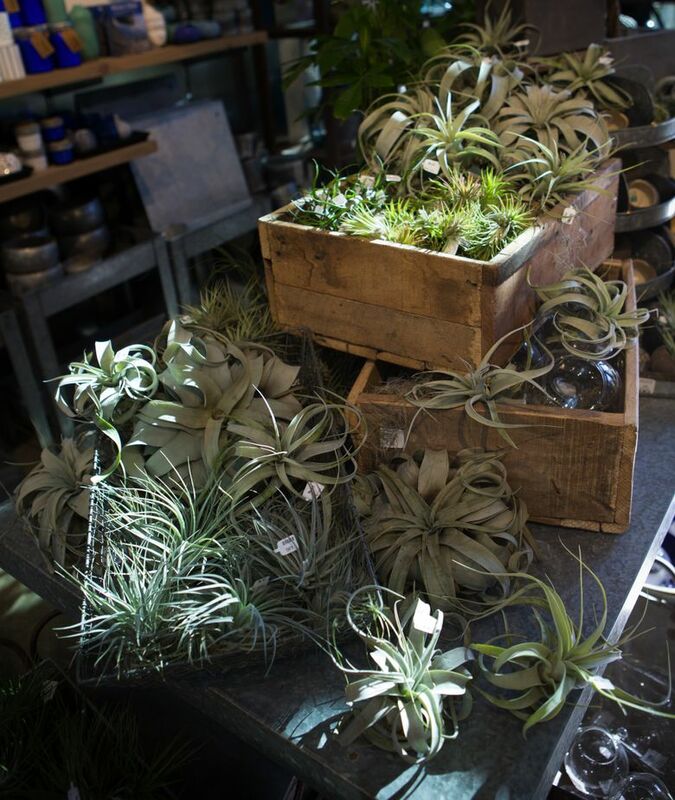 Department-store sales per square foot are down nearly 20 percent since 2006, according to a report earlier this year from real-estate research firm Green Street Advisors. The report also said 800 more department stores, or 20 percent of U.S. mall anchor space, would need to close in order to achieve the productivity level of a decade ago. “A scenario exists where several hundred malls are no longer relevant retail destinations in the next decade or so,” the report says. So mall operators here, as elsewhere, have been making changes, emphasizing entertainment and “experiential” options such as upscale restaurants and luxury movie theaters — things online shopping can’t provide. They’re looking at a mix of smaller specialty stores, rather than counting on large department stores, to drive foot traffic. And, when feasible, they’re building mixed-use developments that tie together residential, office and retail space. It’s all part of an ongoing shift in the role of shopping centers as not only a one-stop shop but also a leisure-time gathering place for family, friends and the community. Shopping centers in the Seattle area appear to be weathering the retail downturn better than their counterparts in other parts of the country. Buoyed by a strong local economy and a large number of people moving in, and benefiting from fewer malls than other areas, “Every major mall is stable,” says Jeff Green, owner and president of Jeff Green Partners and a retail analyst and consultant to retailers and developers. These days, “As the community gets bigger, what we build gets bigger,” he says. Case in point: Years ago, when he heard a speaker say that great retail is the catalyst for all other forms of commercial real estate, he and his father decided to get into those other forms of commercial real estate. That’s evolved into The Bellevue Collection: Bellevue Square, with some 200 retailers and restaurants; Bellevue Place, with a Hyatt Regency hotel, office space and restaurants; and Lincoln Square, which includes a Westin hotel, restaurants, cinema, bowling alley, billiards parlor and home-focused retailers. Lincoln Square is currently in the middle of a $1.2 billion, 1.5 million-square-foot expansion that will include a W Hotel, luxury apartments, an office tower, more retail and restaurants, a six-screen cinema and a parking garage. As the community changes, the retail mix changes with it. Parlor Billiards & Spirits and Lucky Strike bowling alley opened in Lincoln Square about a decade ago, as people were looking for more things to do in the evenings. And as the Eastside became more affluent and fewer people shopped at JCPenney, Freeman spent some 12 years trying to convince the department store to move out, he says. In its place now are seven smaller stores, some of which, like clothing shops Uniqlo and Zara, are doing more business than JCPenney did toward the end of its run there, Freeman says. Also in the old JCPenney space is the first mall location of 365 by Whole Foods Market, the new, smaller, value-oriented offspring of the natural-foods grocer. In another sign that square footage isn’t necessarily what drives the most foot traffic, when Tesla unveiled its Model 3 earlier this year, its store at Bellevue Square “had a line six to eight blocks long two hours before the store opened,” Freeman says. Reservations to purchase the car, which is scheduled to start production late next year, broke Bellevue Square’s records for sales per square foot and per day, he says. Last year, Bellevue Square logged its highest sales, with an average of more than $1,000 per square foot, and this year, that’s up 11 percent, according to Freeman. People from outside this area contributed to those sales, as up to one-fifth of Bellevue Collection customers now aren’t local, hailing mostly from Canada, Alaska and Asia. Aspirational and luxury stores within The Bellevue Collection “know that to drive their business the best, they need to have at least one associate, if not more, who is fluent in a dialect of Chinese,” says Kris Allan, vice president of leasing and development for Kemper Development Company. 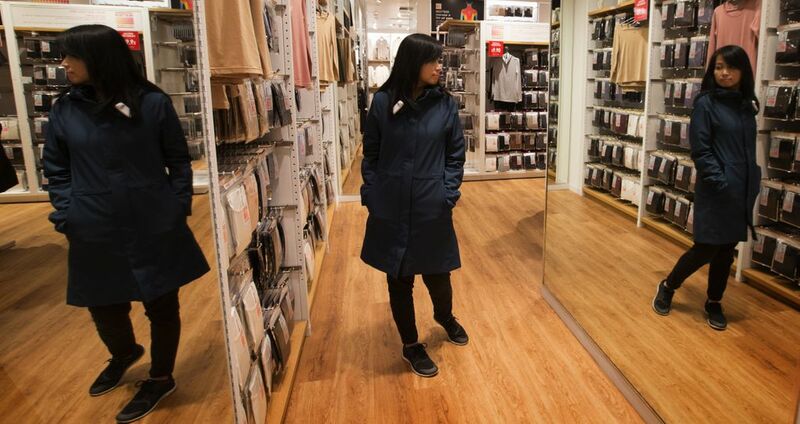 And, “We as landlords must seek out tenants” that appeal to shoppers from Asia, such as Japan-based Uniqlo and Kizuki Ramen and Taiwan-based Din Tai Fung, she says. Ultimately, a lot still rests on the right mix of tenants at the right time. BOTH BELLEVUE SQUARE and University Village stand out among the major shopping centers in the Seattle area, where malls already perform better than their counterparts in similar-sized markets, according to Green, the retail analyst. He estimates U Village’s sales per square foot at $900 to $1,000, and Bellevue Square’s at $800 to $900, not counting its anchor stores. 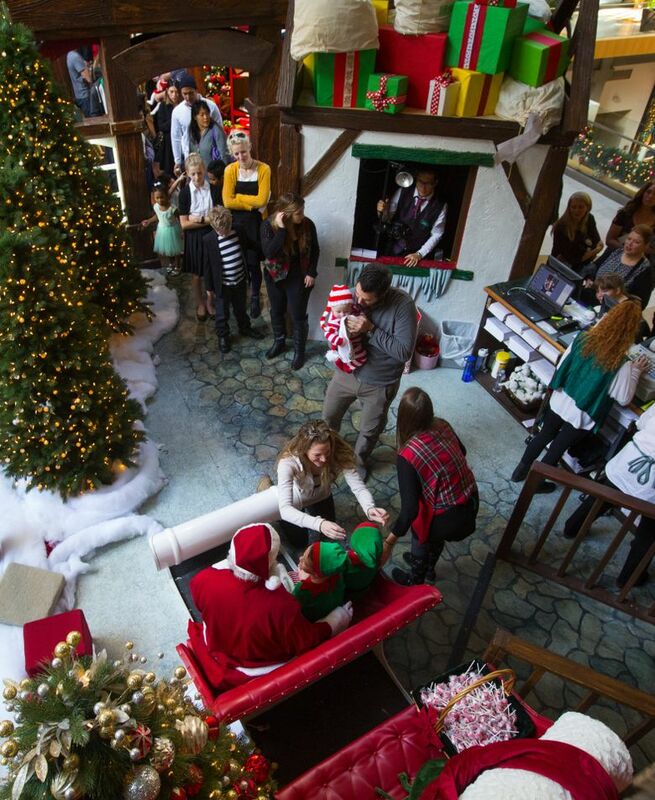 Pacific Place, Green estimates, does about $600 to $650; Westfield Southcenter $500 to $550; Alderwood $450 to $500; and Northgate Mall about $400, not including anchor stores. Sales at the suburban malls have increased over the years because of population growth there, he says. Across the United States, average sales per square foot for non-anchor mall tenants last year was $474, according to the International Council of Shopping Centers. 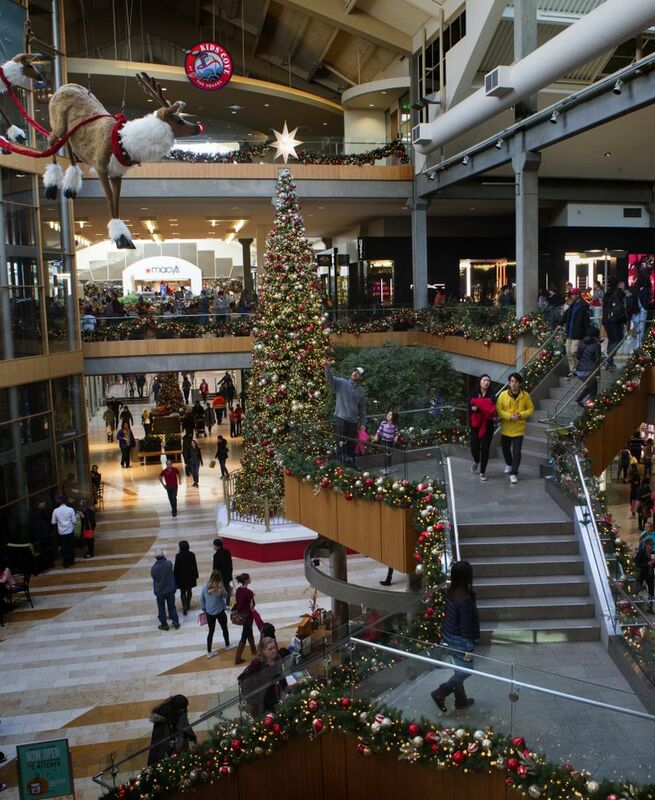 Nationally, there appears to be a winnowing of malls — “You’re either doing great, or you’re dying,” says Garrick Brown, vice president of retail research, the Americas, for real-estate services company Cushman & Wakefield. Yet the net number of malls has remained fairly steady the past five years, according to the ICSC, which counted 1,222 malls this year. The number of shopping centers — including malls, strip malls, outlet centers, “power centers” anchored by big-box stores, and open-air “lifestyle centers” such as University Village that combine upscale stores with dining and entertainment — has climbed the past five years to 115,429. The problem, as ICSC spokeswoman Cegielski sees it, isn’t so much that major malls are dying as that certain stores within malls are closing. “It’s a change in consumer behavior and what consumers want,” she says. “The mall owners have caught on to that. 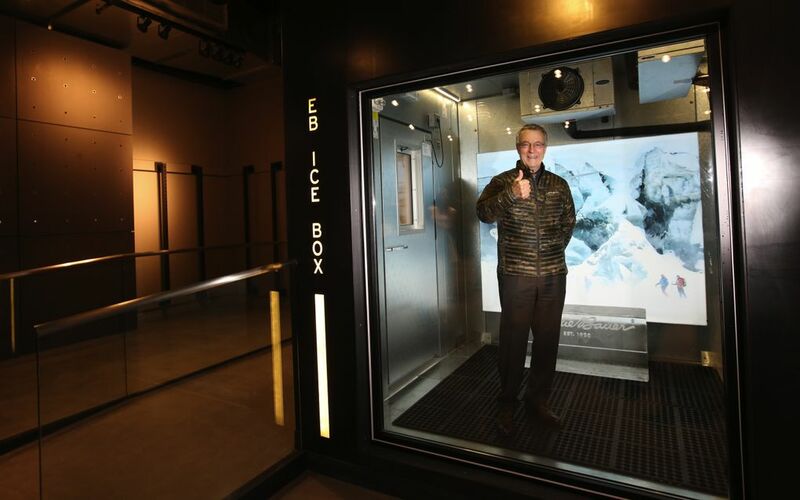 … They’re taking some of those empty anchor stores and turning them more to entertainment-type centers,” putting in things like climbing walls, indoor skydiving venues, aquariums, restaurants. By doing so, “They’re seeing that people come and stay longer and do some shopping while they’re there,” she says. 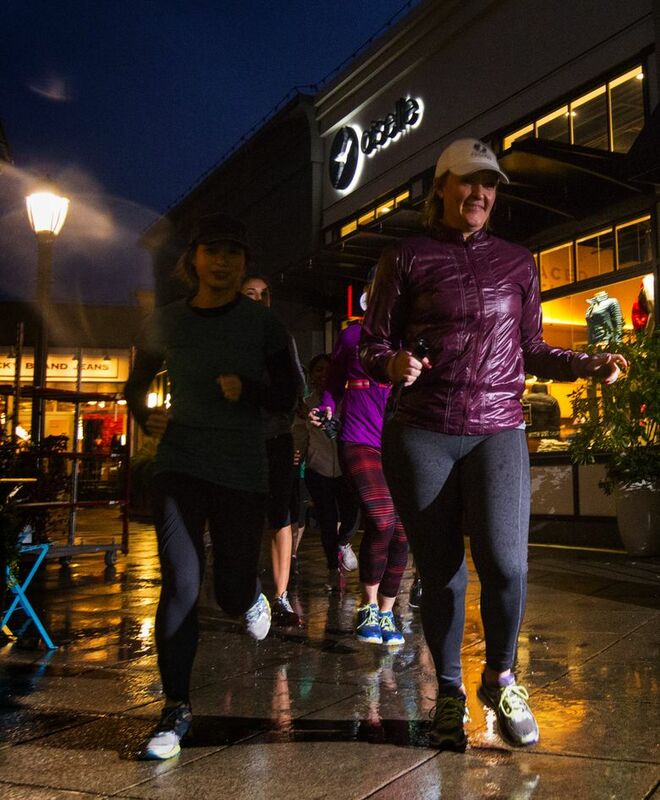 WHEN SEATTLE RESIDENT Sally Bergesen decided she wanted to open a brick-and-mortar location of Oiselle, her wholesale and online women’s athletic-apparel store, she wanted it to be in University Village. Oiselle already had built a loyal community of runners through social media. The physical store, which opened last year, offers a place for them to meet for runs or try on clothes — things that can’t be done online, Bergesen says. 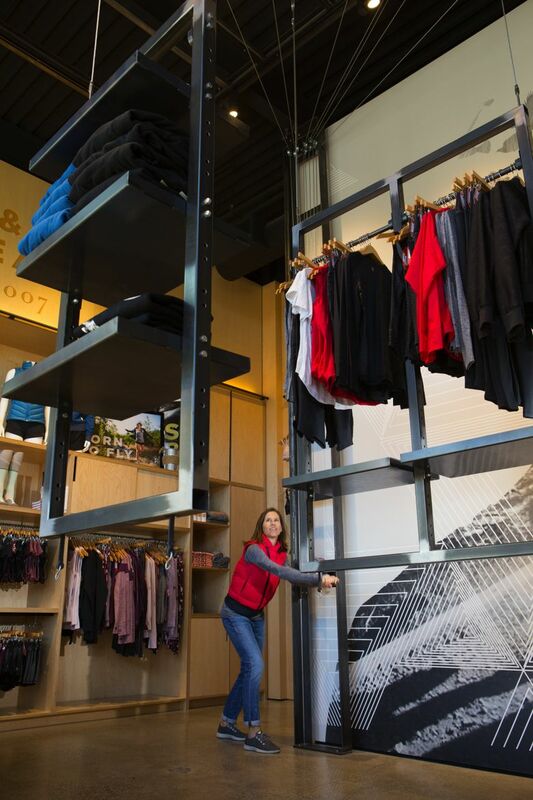 The store is even designed so that the center displays can be hoisted up, leaving an open space for gatherings such as one held this summer to watch Oiselle-sponsored athletes racing in the Olympics. 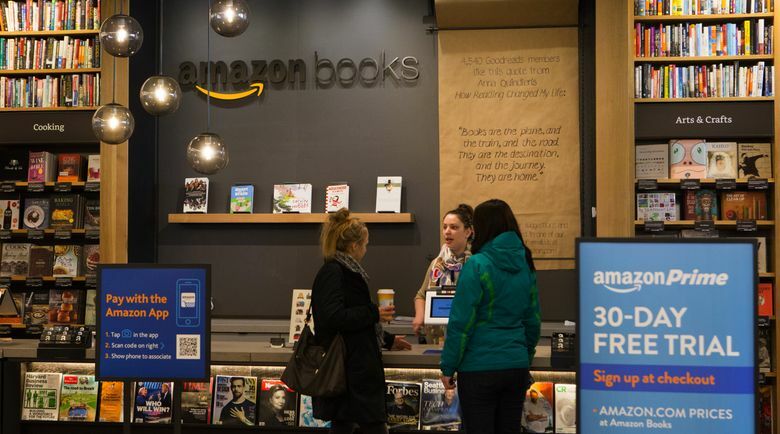 In addition to Oiselle, U Village has attracted other online retailers getting into the brick-and-mortar business — most notably Amazon Books, eyeglasses purveyor Warby Parker and menswear retailer Bonobos. Like Oiselle, they bring with them a ready-made customer base. 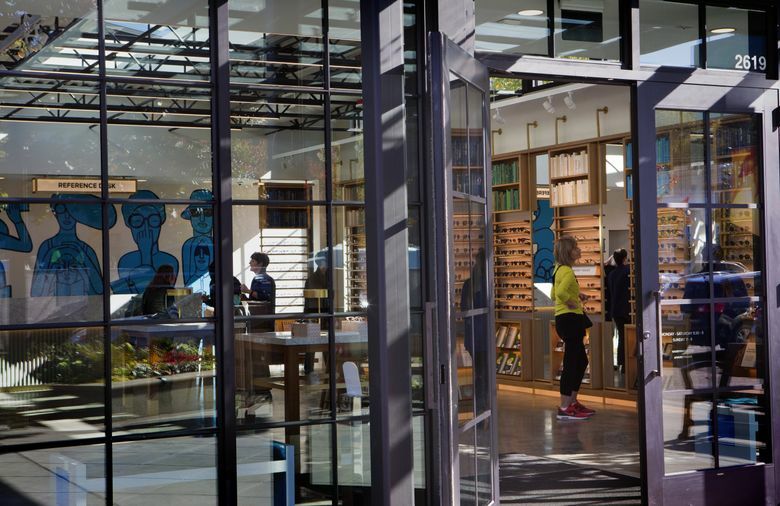 Some 85 percent of customers who shop in Warby Parker stores visit its online site first, Neil Blumenthal, co-founder and co-CEO, has said. Retail analyst Green credits Amazon Books with driving up U Village’s sales per square foot since the store opened late last year. “They’re bringing new people in — a lot of people who are curious about the concept,” he says. Green describes U Village’s tenant mix as “some of the best in the country. … People like to go there because it has the newer concepts” — something that also appeals to millennials. Susie Plummer, vice president and general manager of U Village, sees these newer concept stores, along with local retailers like Molly Moon’s Homemade Ice Cream, Ravenna Gardens and Mrs. Cook’s, and U Village’s strength in home-furnishings stores, as vital parts of its difference from other shopping centers. It also has hosted an outdoor summer-concert series for close to two decades. Over the past few years, U Village has been on a building boom, bringing in a Virginia Mason medical center and restaurants including Din Tai Fung, Joey Kitchen, Liam’s and Eureka! Other shopping centers are making changes, too. In Kirkland, CenterCal Properties is redeveloping the 43-year-old former Totem Lake Mall into a mixed-use center that will include luxury apartments, a cinema, a Whole Foods Market, Trader Joe’s and more, on landscaped grounds. 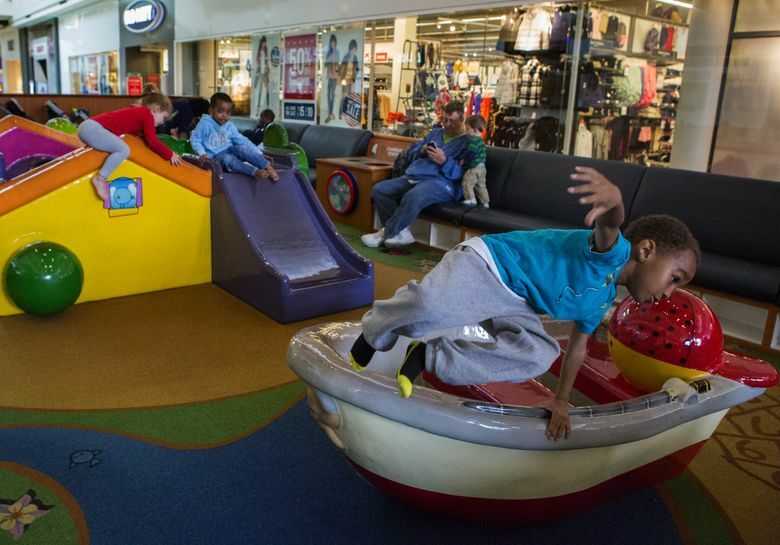 At Northgate Mall, where the surrounding community has seen an influx of young families, mall management added a play area and family restrooms. It’s put more retail and restaurants facing the outside, rather than enclosing them behind mall walls, and installed charging stations for mobile devices and electric cars. 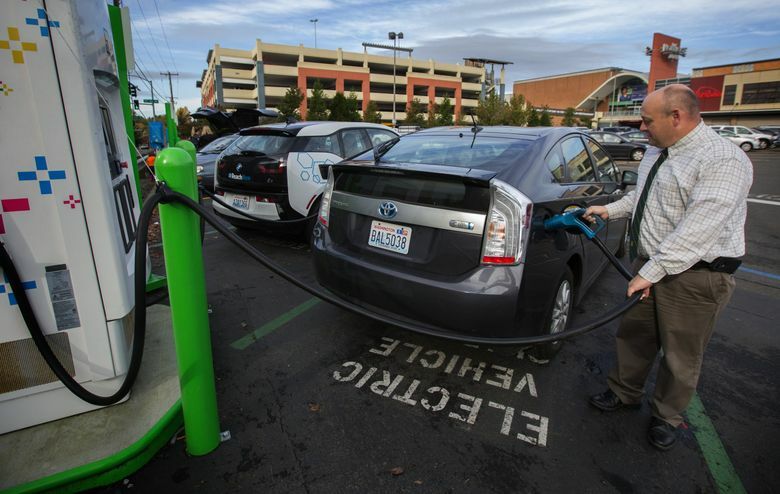 “We don’t want one of the reasons for people going home to be because their phone is dying,” says Lynn Castle, regional vice president of marketing for Simon Property Group, which operates Northgate Mall. Janet I. Tu is a Seattle Times business reporter. She can be reached at jtu@seattletimes.com. On Twitter @janettu. Ellen M. Banner is a Seattle Times staff photographer.